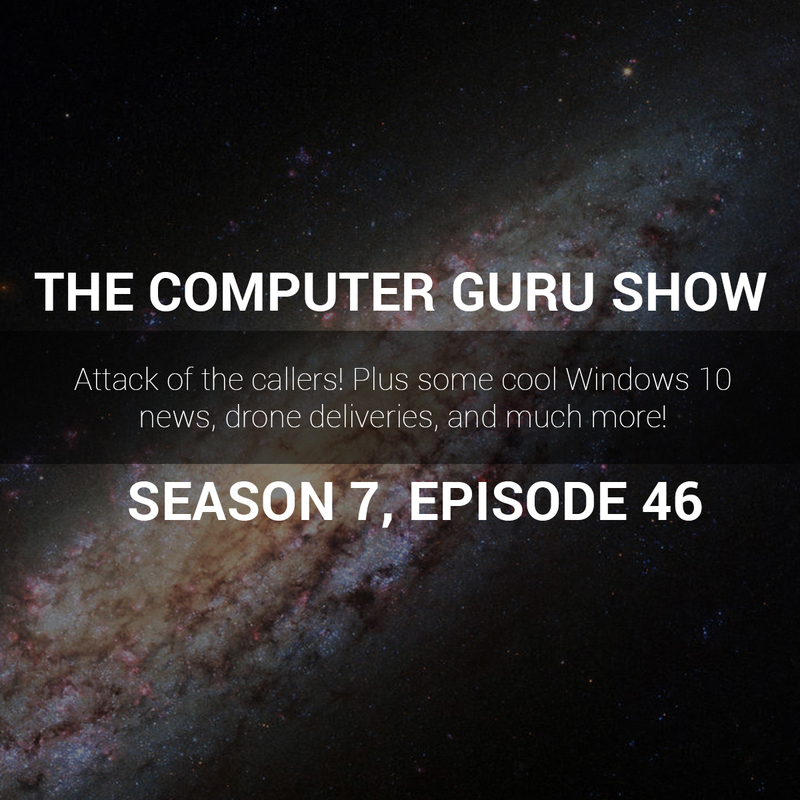 Podcast S7E46 – Attack of the Callers, Windows 10 News, Drone Deliveries, and much more! Attack of the Callers, Windows 10 News, Drone Deliveries, and much more! Attack of the callers! Mike and Tara are happy to answer the tech questions of just about everyone in Tucson on this episode of the Computer Guru show. They also talk about Windows 10, drone deliveries, and much more.